A classic piece of highway through an iconic landscape. 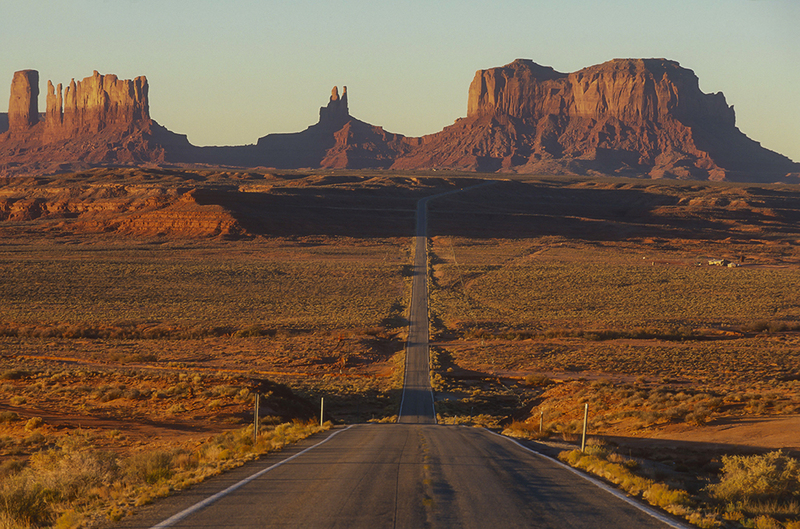 U.S. Route 163 cuts right through Monument Valley; it’s hard to keep your eyes on the road cruising past the enormous sandstone formations. Head north and continue to Zion National Park, or go south and explore the Grand Canyon. Right now my office looks like a tornado just blew through it. Camera bodies, lenses, solar panels, packs and tripods are scattered everywhere. I just returned from a 4,000-mile road trip to the West Coast. I photographed the towering redwoods in California, colorful starfish in Oregon, and alpine lakes in Washington. My trusty Toyota 4Runner passed the 300,000-mile mark during the trip. Photographing on the road has been a cornerstone of my career. Nothing beats an old-fashioned road trip! Photography road trips have a lot of advantages. No more waiting in security lines at the airport or wondering whether your plane is delayed. My blood pressure starts rising just thinking about tight connections and missing my plane. Or how about figuring out how to carry all your gear in one suitcase that weighs less than 50 pounds? I can bring all my lighting gear and camera equipment without excess baggage fees on a road trip. And no more security calls at the gate because my strobe batteries are causing concern at baggage screening. But where road trips really shine are flexibility and spontaneity. You are on your own schedule. If the sunset is transforming into a show-stopping event, you can wait for it. If you discover a scenic trail meandering through an old-growth forest, you can spend the rest of the day photographing it. On my recent trip to Redwood National Park, I found a trail along a creek that looked promising for photography. I thought I would spend an hour photographing the area. Instead, I spent five hours shooting delicate bracken ferns, stately redwoods and orange tiger lilies. My wife and I love to road trip in Baja, and Conception Bay right along Highway 1 is one of our favorite places. Deserted sandy beaches are perfect for secluded camping. Landscape and wildlife photography opportunities abound. Photograph brown pelicans cruising along the water, and catch sunrise through the abundant Cardon cactus. Below are some tips to make your photography road trip a success. I’ve also detailed some of the best stretches of U.S. highway for photography. No need to make plane reservations. When you have the time, just fill up the tank, load up the car and hit the road! The biggest question is what are you going to drive? Fuel economy, cargo space, dependability and off-road ability are important considerations for your vehicle. I have a photography friend who loves driving his Toyota Prius on long trips. He gets huge points for fuel economy; not many vehicles will beat 50-plus miles on the highway, and lower emissions is better for the environment. But when it comes to space and off-road driving, the Prius is very limited. A good option might be a small SUV like a Subaru Outback. The Outback has good ground clearance and gets over 30 miles per gallon on the highway. If you want to explore a bumpy dirt road or plow through a little snow, you can do it. But if you need to drive down a rocky arroyo two-track to reach a deserted Baja beach, you will need a heavy-duty off-road vehicle. Baja California, Mexico. This is near Mulege and Conception Bay, about halfway down Highway 1 in Baja. There are so many great dirt roads to explore, many leading to secluded beaches and emerald-green bays. Bust out the snorkeling gear! There are plenty of SUVs you might rent, and they will get you where you need to go. Off-road ability and lots of space are a given. But pay close attention to fuel economy. Driving to your location might cost about the same as an economy airline ticket or more. Another very important aspect is dependability. I’ve driven Highway 1 down the entire Baja peninsula multiple times in my Toyota 4Runner, and some places I camp are very remote. There are no tow trucks coming to the rescue if your car breaks down. Keep your vehicle in good condition. Bring a full-sized spare tire and jumper cables as well. Another choice is driving a camper van or pulling a trailer. Campervans are nice since you can sleep in your vehicle and don’t have to pull a trailer. Trailers offer you the flexibility of leaving the trailer in camp so you can explore a rough road or go into town for supplies. I often bring my small trailer and base out of it on photography road trips. If you want to go the most economical solution, bring your tent and camp on your trip. If you are planning to stay in hotels, then recharging batteries won’t be an issue. But some travelers may decide to camp or sleep in a trailer. If you are off the grid and away from power, you will need a way to recharge your camera and computer batteries. I use Goal Zero solar power products when I am off the grid. Goal Zero offers a huge array of solar-powered batteries and panels, from small rechargeable LED lights to massive power stations than can power a refrigerator. One thing I like about Goal Zero products is you don’t need an engineering degree to figure out how they work. In other words, just plug in the solar panel to your battery, and it will be charged at the end of the day. 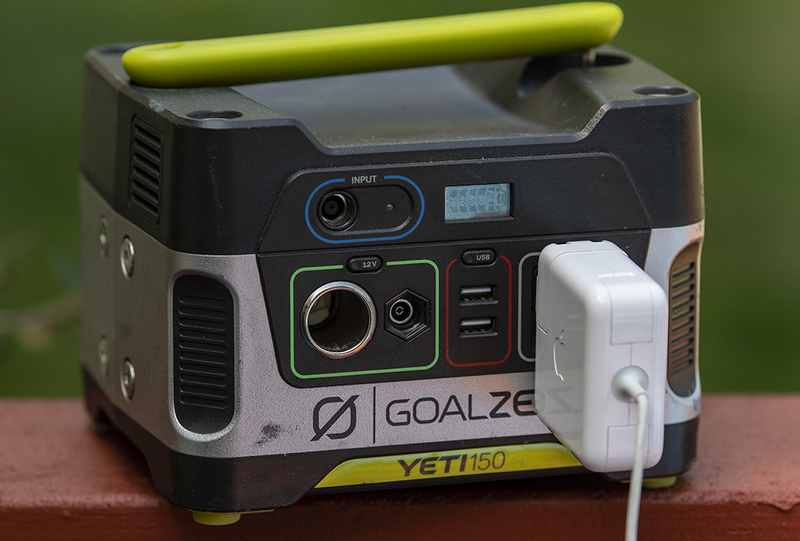 Portable power packs like the Goal Zero Yeti 150 are a great solution for keeping your camera and devices charged when you’re away from power sources. My trusted solar power unit from Goal Zero is the Yeti 150. This small power supply easily recharges my camera batteries, cell phone and laptop when I am camping on my road trip. A small LCD screen indicates battery usage. The unit has multiple power outlets, including USB, AC and 12 volt. To recharge the unit, I use the Goal Zero Nomad 28 solar panel or charge during my drive using the 12-volt car adapter. If you want more power and recharging ability, try the slighter larger Yeti 400. Goal Zero also makes lithium battery power stations, much lighter and smaller than their lead-acid battery counterparts. The beauty of a road trip is you can pack everything you want and not worry about space. I bring my normal camera gear and often bring some extra items I wouldn’t take on the plane, like a heavier tripod, an extra speedlight and even larger strobes for portraits on the road. I will bring along a softbox and light stand as well. And I have no reservations about packing my 600mm F4 lens if I need it. If I want to document the driving part of my trip, I will bring a GoPro camera with car mount to capture on-the-road images. One thing to consider for any journey, including road trips, is backup. I normally bring my laptop computer and two extra hard drives to back up my images on the road. If you don’t have a laptop for downloading images to external drives, consider a backup drive that allows direct downloads. 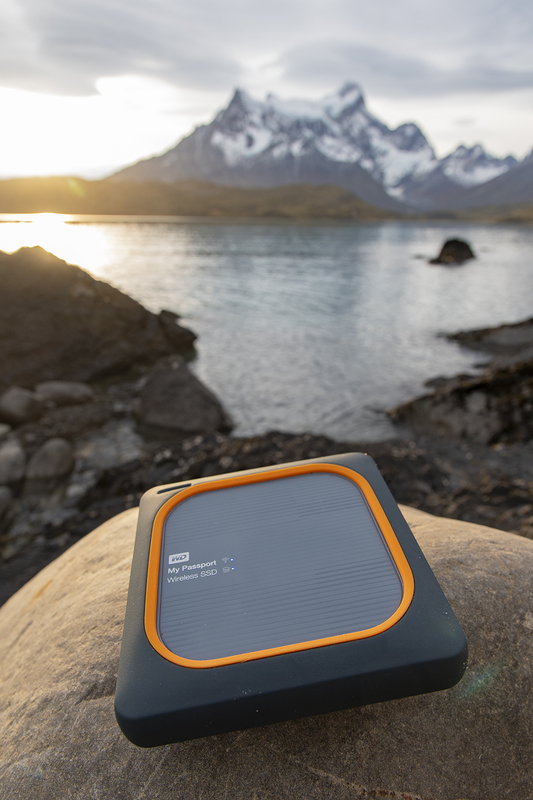 I recently used the Western Digital My Passport Wireless SSD while traveling in Bhutan. This SSD drive has an SD card slot, allowing one-touch backups of your SD cards without using a computer. The My Passport drive was perfect for downloading my cards on the road when my computer wasn’t close at hand. And I could preview images on my iPhone using a Bluetooth connection. One of the most important tools for a photo road trip is your smartphone. I’ll be the first to admit I spend too much time on my phone, but on the road in a new and unfamiliar place, smartphone apps can save the day. First, you need a good navigation app. The most popular navigation app is Google Maps, and with good reason. This app uses GPS location data, doesn’t need the internet to work, and functions around the world. Google Maps uses real-time traffic information and will reroute you the fastest way to your destination. And who doesn’t love street view? Another free navigation app is Waze. Similar to Google Maps, Waze also uses real-time traffic information and GPS. But Waze is different in that it gets constant input from the millions of drivers using it. You will receive first-hand traffic updates, accident reports and gas prices along your route. One other navigation app is worth mentioning: Maps.me is a highly detailed, very simple map app. Maps.me can download maps of your route and destination, so it works offline if you are headed into the hinterlands. This is a perfect app for those going way off the grid. A few other apps are handy on the road. Gas Buddy will tell you where the best gas prices are in your area. Hotels Tonight shows you the best hotel prices near you, including last-minute deals. Trip Advisor can help you decide on what hotel to choose based on user ratings. And iExit gives you all the details exit by exit on the interstate system. 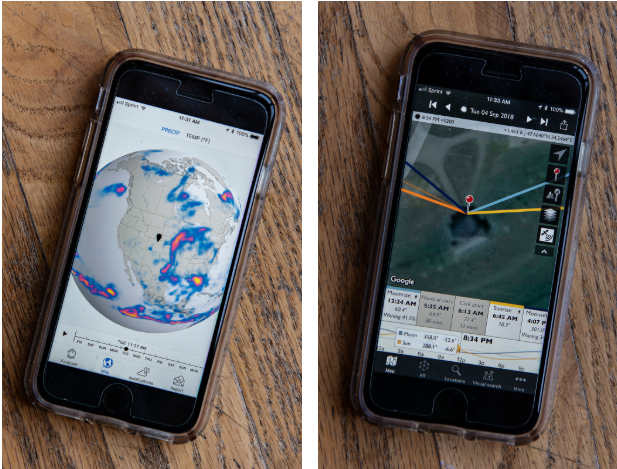 Smartphone apps like Dark Sky and Photographer’s Ephemeris can help you plan for weather and best times to be at photo locations. Let’s not forget about a few photography apps that also help during road trips. For weather forecasts, I use Dark Sky. I love the simple graphics of this app and the hourly forecast data. To watch the storms approach, I use MyRadar Pro. This app shows you storm direction and movement, perfect for helping capture that elusive lightning image. And to predict sunrise/sunset location, make sure you have the Photographer’s Ephemeris. This app should be on every photographer’s phone. It is incredibly useful in predicting how the light will play out on a scene. Road trips can be a simple weekend trip to a nearby destination or a month-long adventure across the country. I’ve been to all 50 states, and there is much to photograph in every state. But some journeys are loaded with incredible photography, and your biggest challenge will be having enough time to fully explore these stretches of highway. If you want a photography-packed adventure, take one of these road trips. Route 66. Travel back in time to vintage Americana along Route 66. This highway was the route many travelers took during the Dust Bowl in the 1930s looking for a better life. Stretching from Chicago to Santa Monica, much of Route 66 is still drivable and loaded with vintage neon signs, deserted gas stations, classic diners and interesting people. Recently, many locations on Route 66 are getting revitalized, providing even more photo opportunities. Tucumcari, New Mexico. 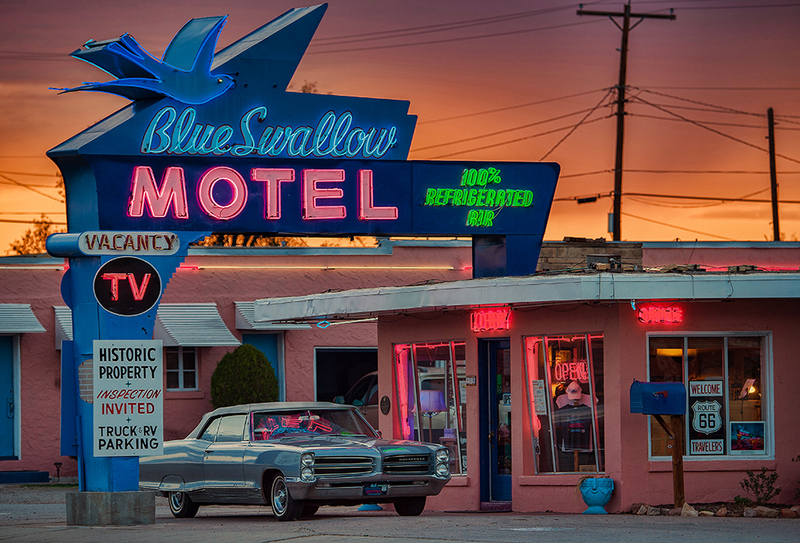 One of the most famous hotels along Route 66, the Blue Swallow is an all-time classic. This town and hotel just ooze vintage Americana. Nearby in Tucumcari, explore the deserted gas stations and vintage cars along the street. Wait for twilight and watch the neon pop all through town. Pacific Coast Highway 1. The stretch of this iconic highway starting in San Francisco and going all the way to Washington offers stunning landscapes, abundant wildlife and the tallest trees in the world, the redwoods. Around every corner is a quaint town, state park or sea lion colony. If you are camping, you will find abundant parks to stay for the night. I really like the section from Eureka, California, to Lincoln City, Oregon. This section passes by goliath trees in Redwood National Park and jagged sea stacks at Bandon Beach, two of my favorite areas. 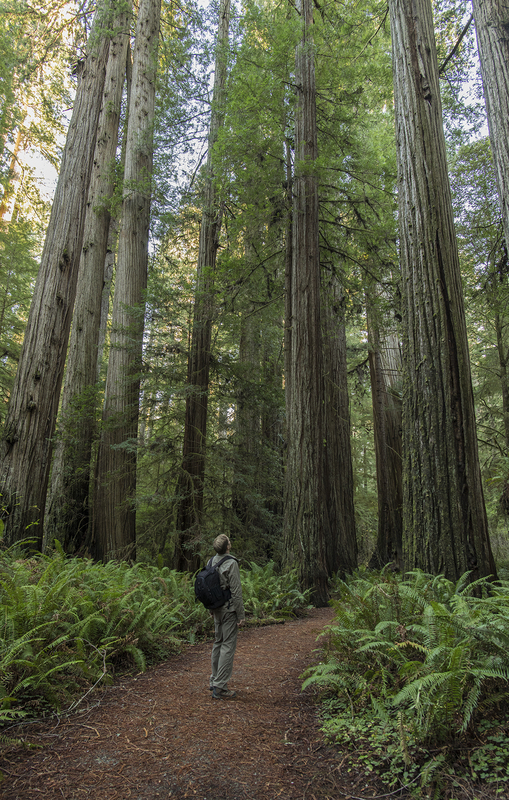 Redwood National Park, California. Cruising along Highway 1 through the redwoods in northern California is not to be missed. In the home to the tallest trees on the planet, even your large SUV looks miniature driving beside these massive trees. Florida Keys. Do you want to drive somewhere tropical with turquoise seas and palm trees swaying in the wind? If so, head to Florida and road trip through the Florida Keys. The Overseas Highway is only 110 miles long, but you can spend days exploring this tropical paradise. The highway crosses 42 bridges over emerald lagoons and sandy islands ending in Key West at the southern-most point in the continental U.S. Bring your underwater camera because you’ll find coral and tropical fish, and don’t forget a polarizing filter to cut down glare on the ocean waters. Baja. 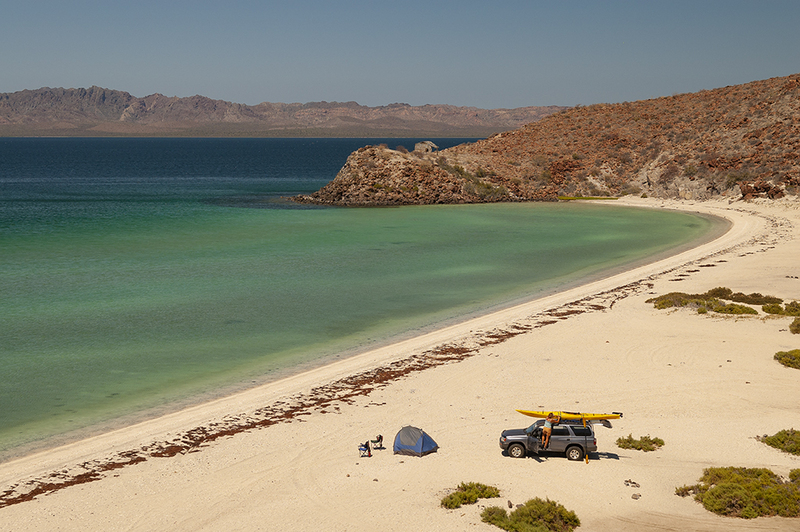 If you are feeling more adventurous, try driving from San Diego to Cabo San Lucas down the Baja Peninsula. I’ve done this drive many times, and things aren’t as rough as you might think. The highway is paved all the way, and there are gas stations and hotels along the way. You can encounter some big potholes, and driving at night is not recommended due to loose livestock. But the photography is spectacular. In the north, you first encounter the Catavina desert with endemic Boojum cactus and car-sized boulders; landscape photographers will rejoice. Further south is Conception Bay on the Sea of Cortez, one of the most scenic sections along the route. 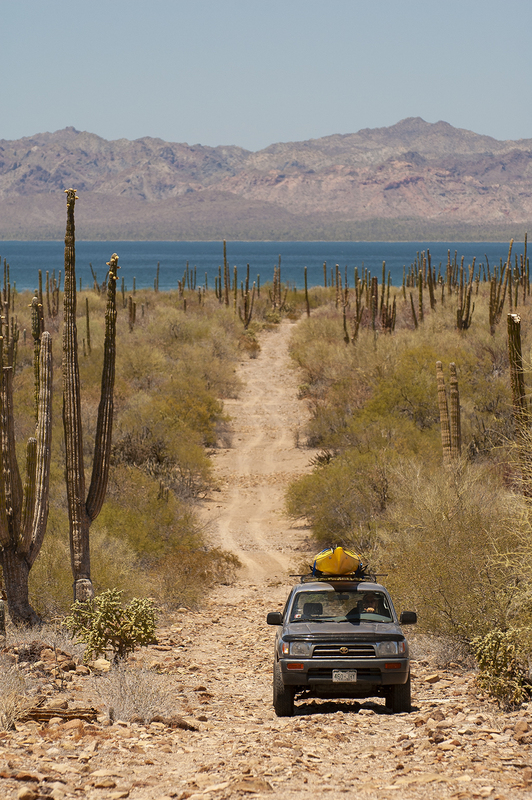 Make sure to spend at least a day photographing this area and the delightful town of Loreto further south. Near the end of the peninsula is La Paz, the capital of Baja Sur and a beautiful city. If you’re there in the spring, take a boat out to photograph the abundant whale sharks in the bay. Denali National Park, Alaska. 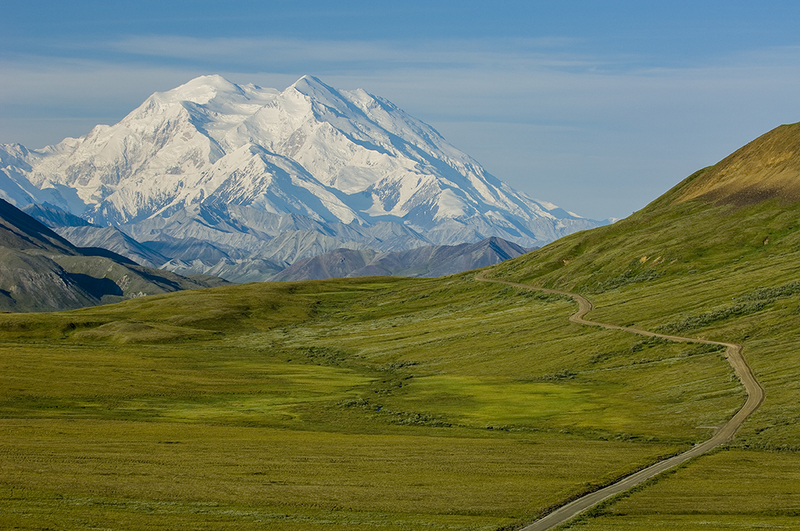 Take a few days to photograph in Denali National Park during your Alaska road trip. You’ll have to ride on a park bus, but the landscape and wildlife photography are world class. Where else can you photograph caribou and grizzly bears in front of 20,310-foot Denali, the highest peak in North America? See more of Tom Bol’s work at tombolphoto.com.